Are we there yet is a fascinating painting by Jonathan Truss. It shows a mother elephant leading the way for her baby in the Masai Mara in Africa. 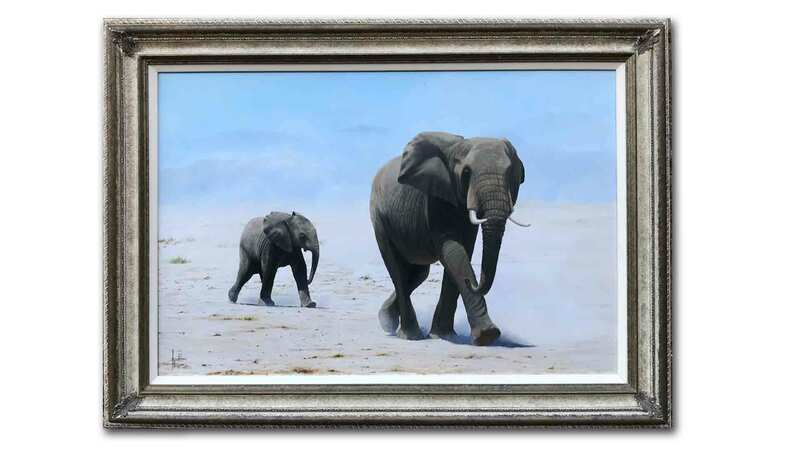 The medium is oil on canvas and it comes fully framed.